Napoleon Bonaparte was born in Ajaccio, Corsica, in 1769, shortly after the Mediterranean island became part of France. This military genius which graduated from the Ecole Militaire in Paris became a general at the young age of 26. 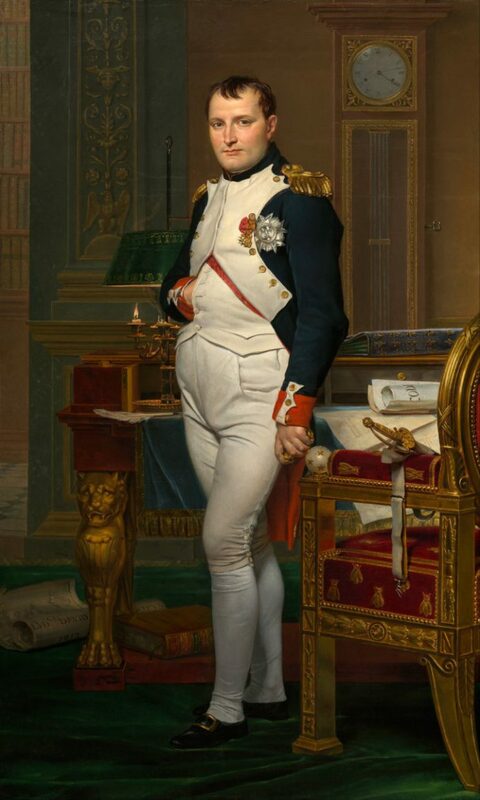 Napoleon was elected First Consul of France for life in 1802. 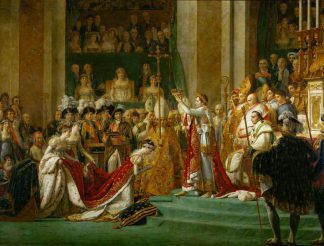 In December 1804 he crowned himself emperor of the French at Notre-Dame cathedral. The coronation brought the 1st Republic to an end. France was now under a military despotism presided over by an absolute monarch. His court was re-established in the Tuileries. During the 10 years of his reign, he successfully conquered Spain, Germany, Poland, Austria, and Italy. Napoleon is known for having translated the great principles of the French Revolution in to law, giving France a new civil code: the Code Napoléon. 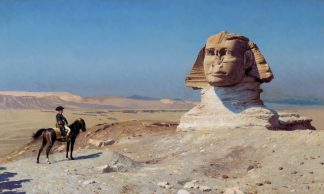 His work still remains in force not only in France but also in other countries. He re-established public worship and religious tolerance, making an agreement (the Concordat) with the Pope in 1801. But the emperor’s greatest mistake was the invasion of Russia in 1812. The great distances and severe cold of Russia caused the loss of most of his army. Napoleon was defeated at Leipzig in 1814. Forced to abdicate, Napoleon was banished to the tiny Mediterranean island of Elba off the coast of Italy for a kingdom and granted a pension for life. In February 1815, Napoleon returned to France for “Les Cent Jours” (The Hundred Days). After a few victories, Napoleon was lured into confrontation with the Allied armies, commanded by the Duke of Wellington, at Waterloo in Belgium, on the 15th June 1815. Napoleon abdicated on the 22nd June 1815 and was taken in exile by the English under guard to the lonely island of St. Helena in the South Atlantic, a British possession. 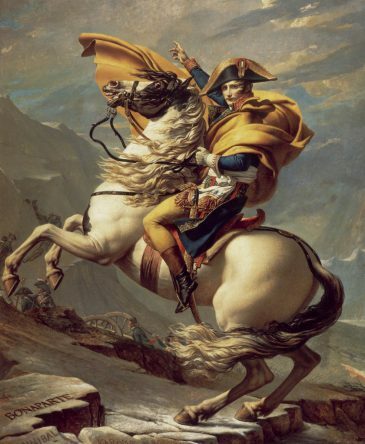 Napoleon Bonaparte died on the 5th May 1821 in St. Helena. In his will, Napoleon had asked to be buried in Paris on the banks of the Seine “in the midst of the French people [whom I]loved so much“. However the British governor insisted that he should be buried on the island, in a place called the Valley of the Willows. Placed in a solitary spot, the tomb of Napoleon was covered by three bare slabs placed level with the soil. These slabs can still be seen today in a garden of Les Invalides. Then in 1840 King Louis-Philippe was granted from the British the agreement to repatriate Napoleon’s remains to France. The ‘retour des cendres‘ (returning of the ashes) is an episode that relates the return of the mortal remains of Napoleon in the Hôtel des Invalides, Paris. When the mortal remains of Napoleon was transferred from St. Helena Island to France, the tomb was set up in the St. Jérôme chapel, a side-chapel of the Dome church of Les Invalides. Architect Louis Visconti had a circular hollow cut beneath the dome to create a sort of an open crypt. In its centre would be placed a large sarcophagus containing the remains of the emperor. Napoleon’s coffin was moved to the dedicated crypt in 1861 during a ceremony presided by his nephew, Napoleon III.